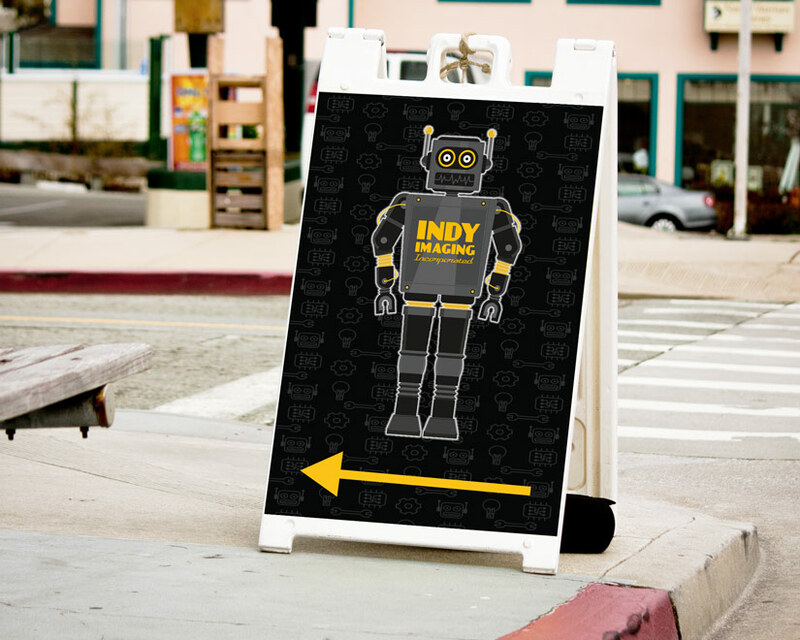 A Frame Signs – Indy Imaging Inc.
A Frame Signs are cost effective advertising for both indoor and outdoor applications. What to consider when ordering A Frame Signs. . .
How will the customer be using A Frame Signs? What face size is needed for the sign? Is the A Frame Sign needed for short term or long term display? Does your customer’s budget require an economy A Frame Sign or can they go with premium? If the customer is ordering the coroplast frame do they need grommets for ground stakes?